basic one-face warp w., in which the knit is processed from a single half-threaded warp. 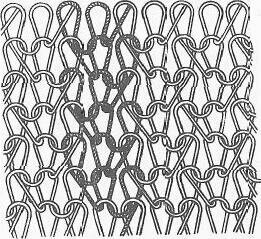 In each row the thread forms two stitches in such a way that in one column it forms stitches in every row and in the next the stitch is formed in the column in alternation, first from one side, then the other. The column in which the stitches are formed from one thread, is straight; the adjacent columns have bevelled stitching. 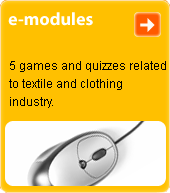 Used for underwear and for upper garments.